"In India, survival is difficult when you do not have a parental support for any reason"
It was a lovely morning of January, 1935. Children were flying kites all over and screaming with joy. The cool breeze was blowing and the rising sun was smiling all over the sky. It was Lohri (a Punjabi festival). One could smell the lovely curries in the air. In a cottage nearby, a woman called Ratna was dying of cancer, and her family was gathered around her. She had four children. The youngest son, Partap was only three years old and was crying loudly like he could smell something unusual. Ratna was holding Partap closely while staring at the picture of the Goddess Durga that was pasted on the wall . Tears were falling. Minutes later she passed away leaving Partap crying for the rest of his life in the hands of God. His father was a mason and worked at distant places to feed his family. So he had to leave his two younger kids with his relatives, who lived in the same suburb. He gave his relatives enough money to buy his children food and clothes . While their own kids ate the best food , they were served the leftovers. They were treated like servants. As the time passed Partap went to school. He had only two shorts and a couple of torn shirts and he was always barefoot. He would attend the school and then go to work as a labourer to earn some money to feed him and his older sister Rampyari who was only three years older than him. Both of them always looked after each other. On August 15, 1947, India got it’s independence from the British Empire and the same year Rampyari got married. In the meantime Partap worked at every petty job he could find to be able to survive. A few years later he got married to a beautiful girl named Kanta and over the period of ten years they had four kids, two daughters and two sons. 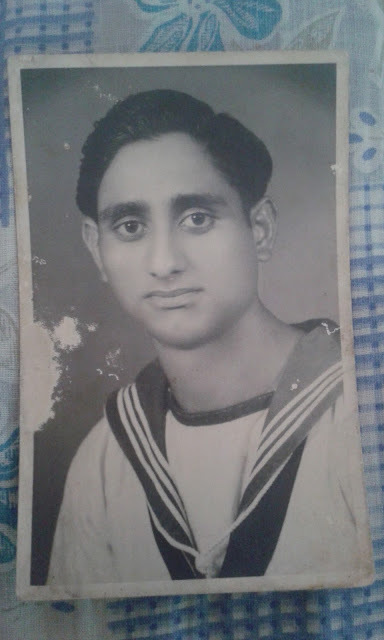 In 1974, he left the Navy and started working as a Custom officer in Mumbai. He had spent thirty five years away from his own people, so Partap decided to quit his job and move to the place where he lived in his childhood. So he came back to Pathankot. His relatives started showing their true colour, they did not want him there, they only wanted to take his paternal house away from him. So they started humiliating him and torturing his family. They couldn’t take his success. The bad behaviour of the relatives became so unbearable that he had to sell his house for peanuts to one of his uncles. Partap kept working hard, and because he was a man of good heart, he helped the needy. There was no relative of him who didn’t take his help, he helped them with money and anything they wanted. At one time he even removed his shoes and gave them to a beggar, because he never forgot that he had been always barefoot when he was little. Tragedy struck again. 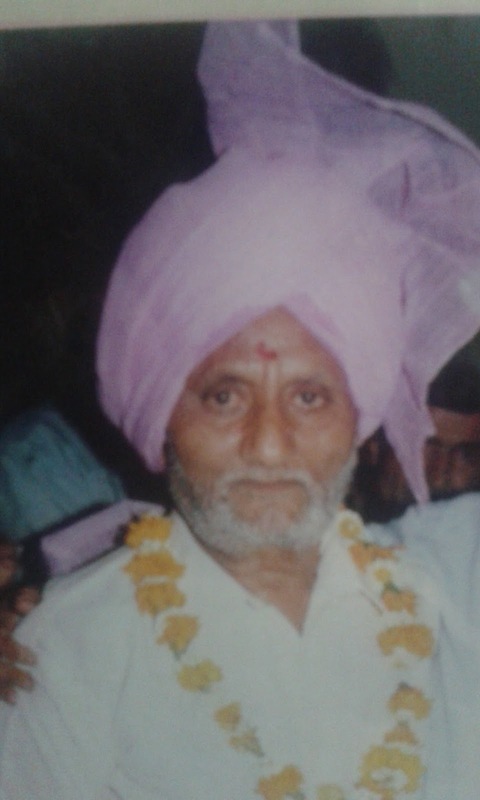 One day his youngest son was bringing his older daughter Vijaya on a bike from the school where she worked as a teacher. They had an accident with a bus. Suresh had a narrow escape where as Vijaya suffered multiple fractures. It was a very bad accident. Partap had to sell everything for the treatment of her daughter, but she was taken to the best hospital. He was broke one more time. Four years after this incident , his sister Rampyari passed away. Partap cried like a child. Two of his children only came to visit a few times, like guests. His relatives, always envious, were very happy to see him in this condition. But he never surrendered and kept working hard, somehow building a new house. Partap always would say that the life is full of ups and downs. His wife and his younger son Suresh stood by him all this time. Little by little, Vijaya recovered enough to be able to walk with a cane. His father saw her from a distance with tearful eyes. Partap worked and worked until April 27,2002. That day he was so exhausted that he passed away leaving everyone crying. It was very hot and humid. His family kept his body between blocks of ice in the house that he built with his own hands. Even frozen he had a very big smile on his face. Maybe because his time was over, and he could finally rest. Many people came to his funeral. He had helped many, even in his own bad times always gave what he could. All his life he struggled. He loved his family. His wife Kanta and daughter Vijaya live now with his youngest son Suresh. All his life he kept telling his family that he should write his story. He never did so I wrote it for him as a tribute. To me, he is a great champion who never gave up. After a long humid night it is raining heavily. It's half past five in the early morning. While my wife, daughter and son are sleeping , my eyes are filled with tears. I love my family the way Partap did. I named my son after him: Aditaya Partap Singh Kaushal. Partap was my father and I am so proud of him. I love you daddy, you are my hero. I will try to be like you for the rest of my life. Publicado por Unknown en 7/13/2015 07:40:00 p. m.